The MP3 player is one of the new cool gizmos of the day, but the features and value from the many, many products on the market are very diverse and there are very few comparative reviews on the net so I decided to throw in my personal experience with 4 of the models that I have owned or tried - the iPod Shuffle (512M), the Samsung Yepp (T5VS, 256M), a cheap generic usb-key model and the Archos Gmini XS200 - and the order of the list is not accidental - it simply is the ascendind order of "value for money" as I perceive them ! Before other details let me say that the sound quality for the devices themselves is VERY GOOD for ALL of them - the major differences in what you can hear will NOT be from the device itself but instead from the compression and headphones used !!! (and even the best headphones that come with normal players will be no match for a good in-ear-canal model that is still under 30-50 US$ - I am using a pair of Panasonic RP-HJE50 which are AMAZING for the price if you fit them correctly - but are quite effective at noise blocking and as as result not recommended for jogging, driving and so on... ). That being said the iPod Shuffle was among the noisiest, while the XS200 has the best sound (for my ears at least). 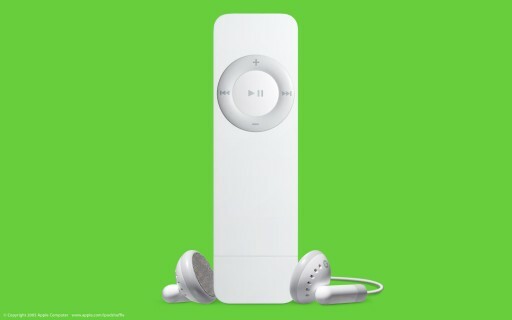 All devices from my list are also standard USB storage devices - I believe that was a problem in the past with certain iPod models and is still a problem with certain Creative models but things are now OK for the MP3 players below. Another unusual point might be the"How would I first improve it" part - that is NOT about creating a new product but instead minimal changes that would provide maximum benefits without changing the entire product or the idea/design behind it. The shuffle is probably the most famos from the list, yet in my opinion is the worst as value for money - I would have never paid for one but I won two of them on a Pepsi contest and for that price - free :) - and for one precise more reason (see below) I decided to keep one as my second device! Good - very light and thin, long battery life, no moving parts, standard USB2 storage device (all devices in this review are, but Apple is famous for being non-standard), no cable normally needed (but is a little wide and sometimes a cable might be needed, and none is provided); and (if that is a good thing for you) the complete lack of features makes it the easiest to use. The main reason why I decided to keep it was the "OtterBox" - which is a cheap waterproof case - and I hope to soon have another review about swimming with an MP3 player :) (this might also be listed as another good point for the shuffle - you can find some interesting accessories at a decent price). The Samsung Yepp (the precise model is something like T5VS, 256M) has a LOT more features (including a display with multiple LED colors, an FM radio and a recorder, and is also the only one from the list which looks cooler and smaller than the iPod shuffle) but is also more expensive and as a result was a strong contender for the last place as "value for money"! (funny is that it was also the result of winning a contest - but with the difference that this time the lucky winner was a good friend of mine and it was a Coca-Cola contest :) - but as with the iPod the review is looking at it from the perspective of a normal buyer). 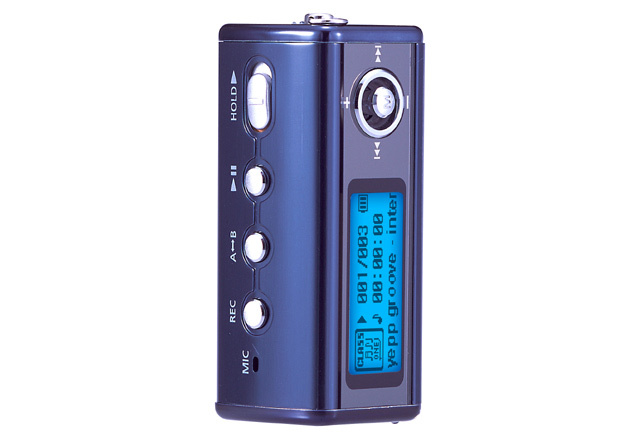 Good - size, can use standard AAA, good neck strap design, many good extra features, small protective "transparent plastic wrapper" included, the only device from this 4 that will also play OGG files. How would I first improve it - much lower price, better headphones, bigger memory. 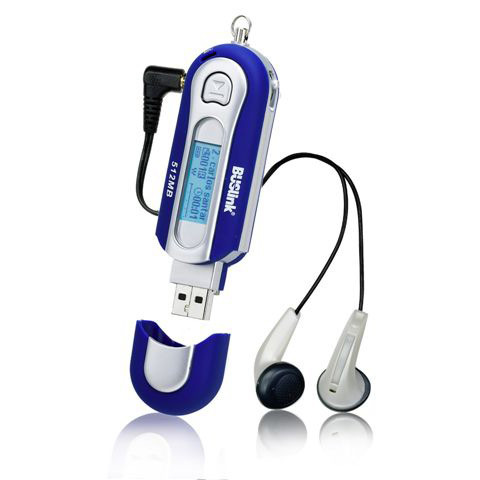 Good - price (compared with other flash players, if you shop carefully you can get one with a display, FM radio, recorder and DOUBLE the memory for LESS money than an iPod shuffle), is a standard USB stick (many models also come with an extra extender cable which is a small bonus). How would I first improve it - better headphones. You can also find an older but interesting review of those "generics" here. 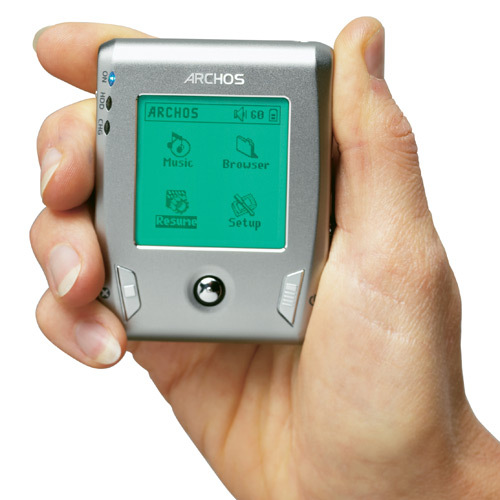 The Archos Gmini XS200 is probably the best value for the money - I paid about 200 US$ for 20 GB at the start of 2005 (and the shuffle is still about 20 times more expensive/GB in the second half of 2005). How would I first improve it - first of all add some "transparent plastic wrapper" and neckstrap to wear it around your neck; maybe add a pair of "headphone covers" like the shuffle has (those can not be more than 5-10 cents or so each pair and are softer and will better keep headphones in place). Other devices that I have tested were not added to this review for a number of reasons - like for instance not being able to test them enough; a special mention goes to the iRiver H140 - which was my first choice one year ago - but a close friend got one and I decided that size and weight were also important parameters for me so I went for the XS200 and so far it was the perfect choice for me! Longer-time experience has also taught me that a HDD-based player should probably be the first choice for a digital audio player (especially for somebody without a huge budget), but getting a low-cost version AND also a second very light and low-cost flash-based model might be an even better approach in certain conditions !! !